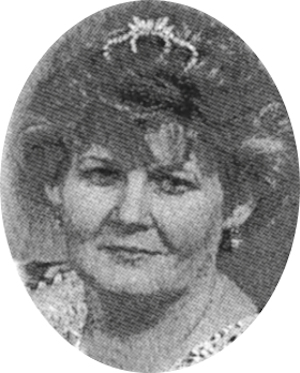 Obituary – Calhoun, Patricia Pauline (Oden) « Perry High School Alumni Association, Inc.
Patricia (Pat) Oden Calhoun went to be an angel in heaven September 24, 2003. She will be greatly missed by all who knew and loved her. She was born August 28, 1947 in Popular Bluff, MO. 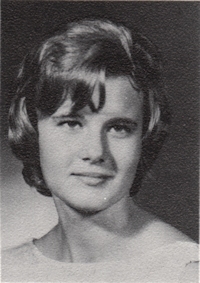 She was the daughter of Dee & Nadine Oden and was raised in Perry, OK where she graduated from High School in 1965 and was the rainbow girls worthy advisor 1964-1965. She was a Tinker employee since 1974. She graduated from UCO in 1994 and was a member of the Beta Sigma Phi sorority since 1994 and served as Chapter President 1999-2000, 2000-2001 and was woman of the year 1998 -1999. She married Gary Calhoun on October 8, 1983. She enjoyed crafts, traveling and spending time with her grandchildren and family. Pat is survived by husband Gary of the home, daughter and son-in-law Gina & Phillip Haney; three grandchildren Kaydee, Samantha and Logan all of Moore; parents Dee and Nadine Oden of Perry, OK; brother and sister-in-law, Roy and Wanda Oden of Las Vegas, NV; sister & brother-in-law Dee Ann & Eddie Peak of Las Vegas, NV; niece & nephew-in-law Lesley & Marc Koch of Las Vegas, NV; numerous aunts and uncles along with many friends and her traveling buddies Diana & Harry Meyers. The Calhoun family will greet family and friends from 6:00 P.M. – 8 P.M. at Resthaven Funeral Home. Memorial services will be held 1:00 P.M., Saturday, September 27, 2003 in the Resthaven Funeral Home Chapel.